Colorado State Patrol Cpl. 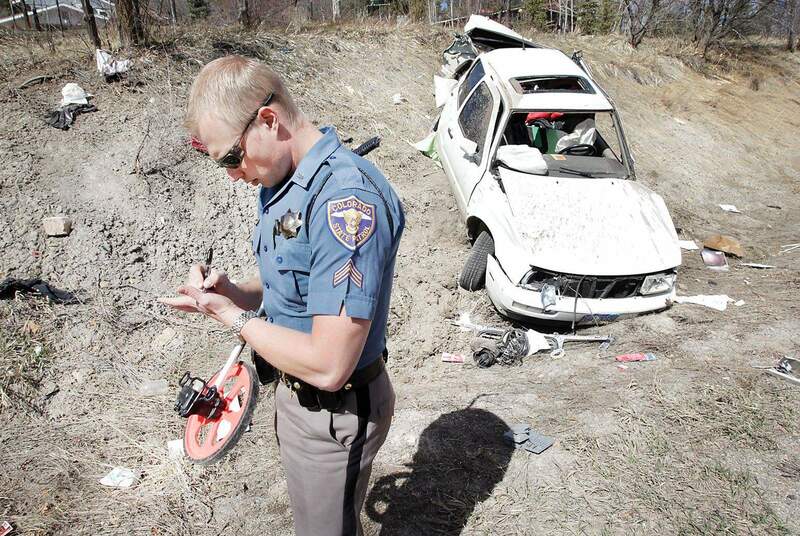 Jared Rapp, investigates the crash on Florida Road (County Road 240) at mile marker 4.5. 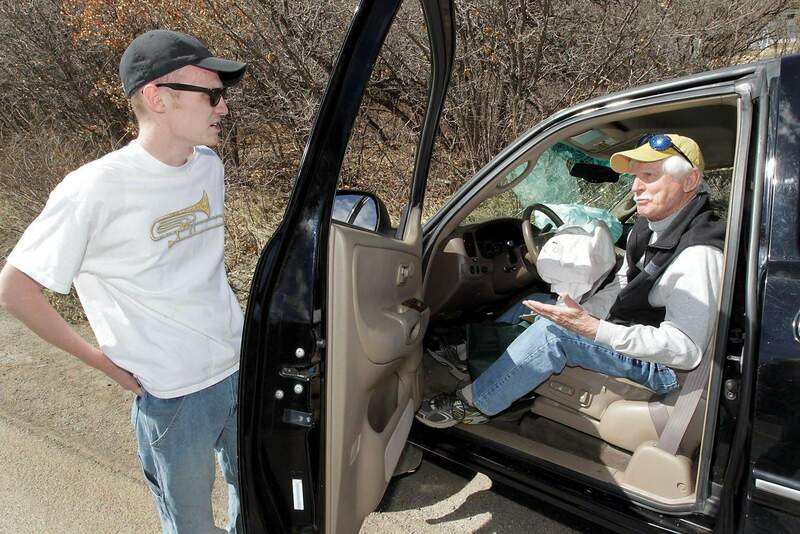 Tyler Black, left, a witness talks with Steve Martin after his truck collided with a car on Florida Road. 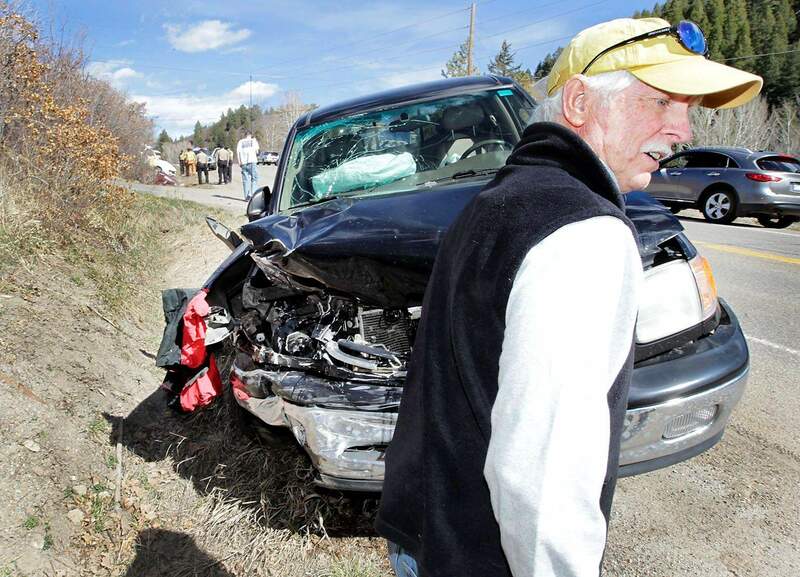 A man who fled an accident site east of Durango on Florida Road (County Road 240) was taken to Mercy Regional Medical Center on Wednesday afternoon with what appeared to be a broken arm and burns on his back. The man, who was driving a white Volkswagen, was not identified at the scene. Colorado State Patrol Cpl. Jared Rapp said the man who was sent to Mercy lost control of his Volkswagen sedan while he was eastbound on Florida Road traveling about 70 mph. Rapp said the car rotated into the westbound lane and hit a Toyota Tundra driven by Steve Martin. The Volkswagen rolled once, ejecting the unidentified driver, who was the only occupant, pinning him under the car. Black ran after the fleeing man trying to get him to stop. The man was transported to Mercy by a crew from Durango Fire & Rescue Authority.